A new monster telephoto zoom lens has been announced for Canon, Nikon and Sony shooters. 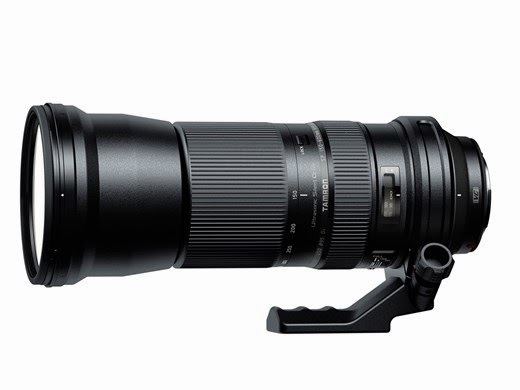 It is the Tamron SP 150-600mm f/5-6.3 Di VC USD lens that is an upgrade from their existing Tamron SP AF200-500mm F/5-6.3 Di. It is the first lens for non-professional photographers to reach 600mm for a price that is expect to be under $2000. The new Tamron is a lot bigger than the previous version. To big? The Tamron has gotten a Vibration control which is important with zoom lenses, but remember that a lot of the time you already have it mounted on a tripod or monopod. It is possible to put an 1.4x extender on the Sony, Canon and Nikon zoom lens, but that will get you a 110-560mm lens with a maximum aperture of 6.3-8, so even here you get an advantage with the new Tamron lens. One important factor that is going to decide if this lens will be a hit is the autofocus speed. It needs to be fast, so you don't miss the shoot. The image quality doesn't have to be top notch, but on a good to great level. If these two factors are in order it is bond to be a great hit. I really look forward to the reviews and hopefully comparison with some of the above lenses. Eventually I am going to buy a super zoom lens and the competition just got tougher today. Thank you Tamron.